Tuffley Rover vs Shrivenham – match postponed. 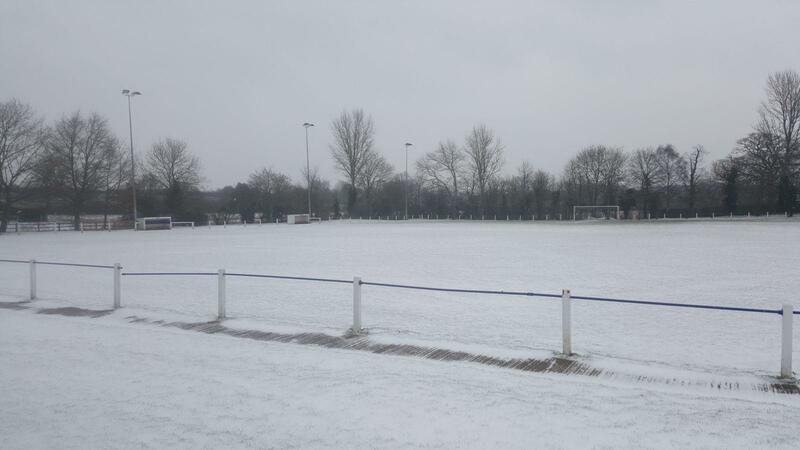 The Uhlsport Hellenic League have announced that all of tomorrows Premier League fixtures [02.02.19], have been postponed due to the snow. In an announcement on the leagues official website, CEO Brian King stated: “Due to the current ongoing forecast of further snow today to add to the several inches that fell overnight, the UHL Executive Officers do not wish to put any person at risk and therefore have postponed the whole of the UHL program for tomorrow [Saturday February 2, 2019]. “Saturday’s league matches will be re-scheduled for Saturday 20th April, en-bloc. As such, if you haven’t yet bought an Afternoon Session ticket for our Beer, Cider & Gin Festival, now is your opportunity!